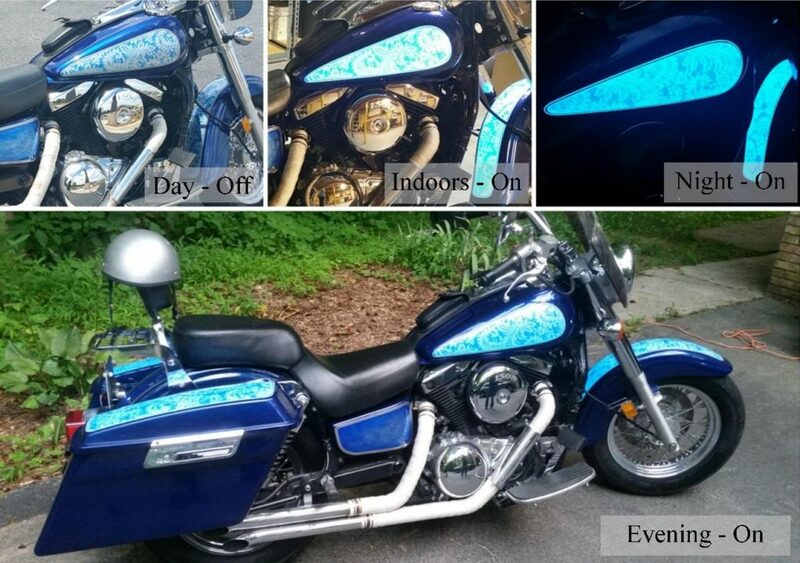 Light up motorcycle paint is the newest way to customize your bike. 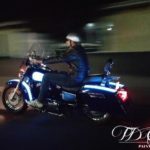 There are two things motorcyclists tend to care very strongly about; their safety, of course, and having a cool looking ride. We now have the answer to both. 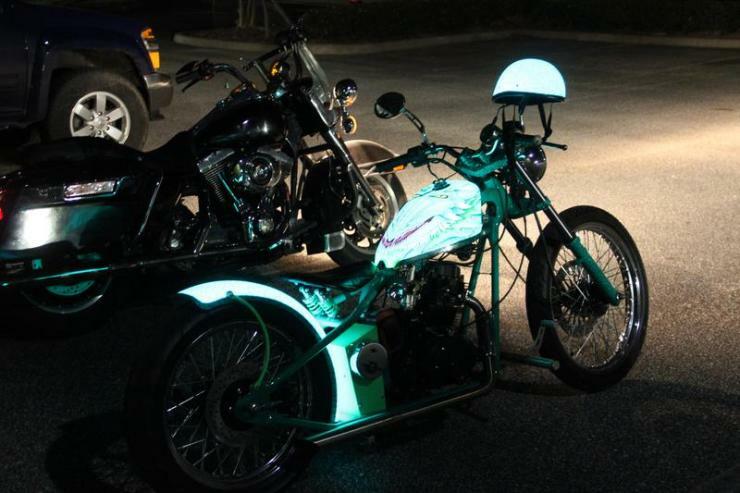 With electroluminescent paint, we can now paint your bike to light up. 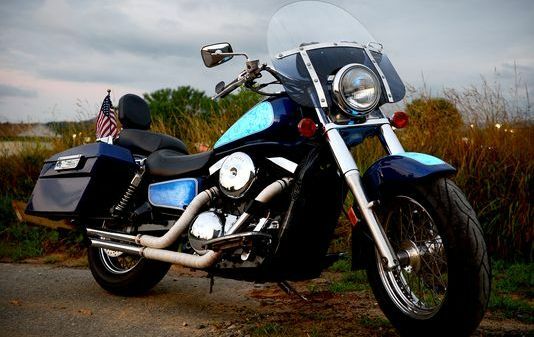 Motorcycle accidents happen every day because of other drivers not seeing them. 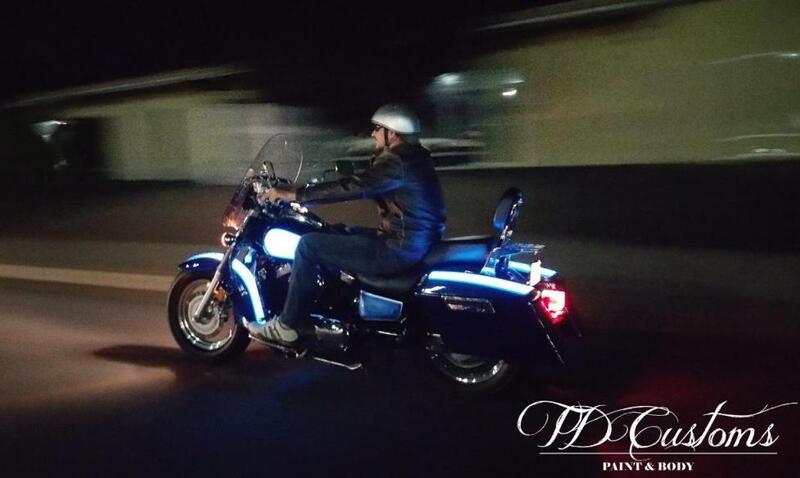 Having a motorcycle that lights up will increase your visibility and keep you safe on the roads. 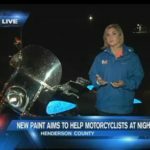 A lit up paint job will not only turn heads because of how new and cool it is, but also because the light grabs your attention and helps you be seen. This is a paint job that makes you safer on the roads and gives you a truly unique, modern feature that very few people currently have. 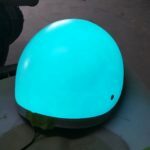 Lumilor is an electroluminescent coating system that produces light when connected to an electric current. Since the product acts like regular paint, it becomes one with whatever object you apply it to. Wires will be attached to the paint, yet hidden, so all you see is your topcoat paint job. 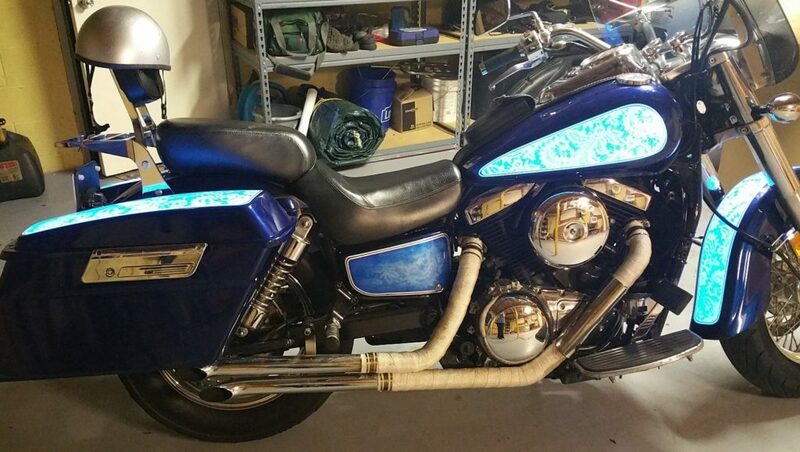 With a light up motorcycle paint job, the electric source is the bike battery itself. 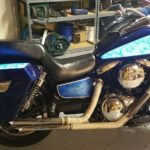 Motorcycles are the most common application for Lumilor because of it’s ability to increase visibility, while also making your bike look really cool. 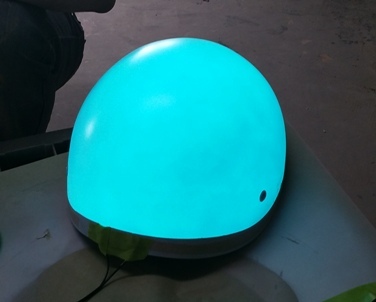 There are many possibilities for electroluminescent design options. Lumilor is carefully applied through a base layer, and then we can create various designs on top. We can make accents details light up, such as logos or images. 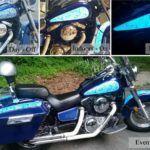 You also have the option of having the electroluminescent paint be completely invisible when you turn it off, so all you see is the top coat paint job. Lumilor is available in green, blue, aqua, orange and white. We are also able to create various other colors, including pink, by topcoating the paint that lights up with other colors. 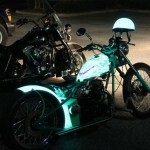 TD Customs is a Certified Lumilor Lab, located in Asheville, NC. 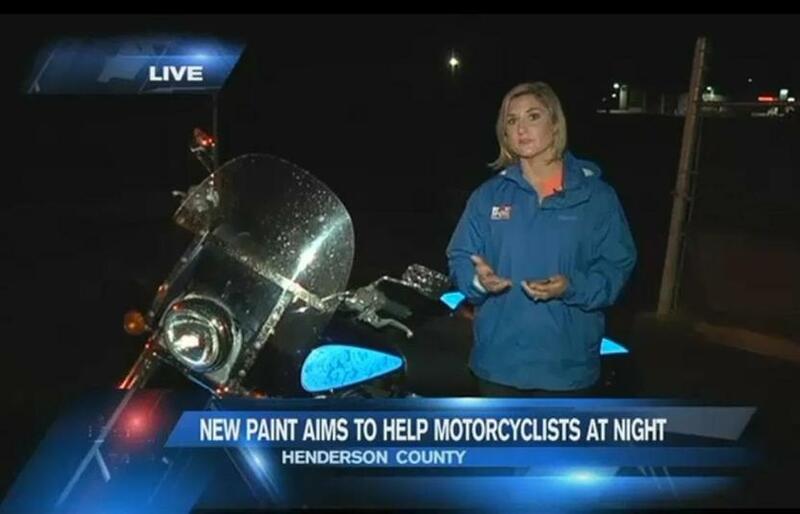 We are currently taking requests for light up motorcycle paint jobs. Please fill out a Get Lit Request form to receive a quote.